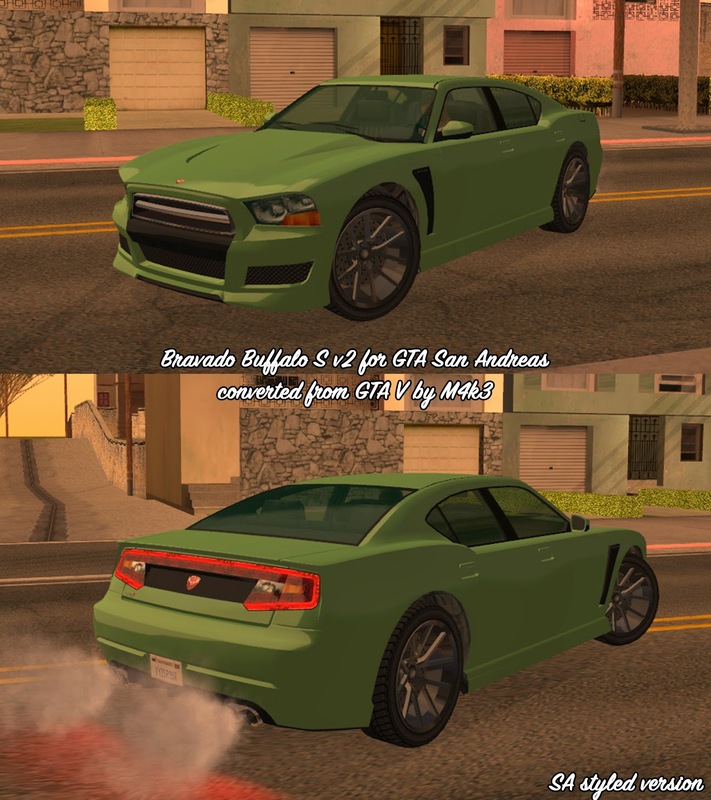 Bravado Buffalo S v2 from GTA V converted to GTA San Andreas and edited by M4k3. 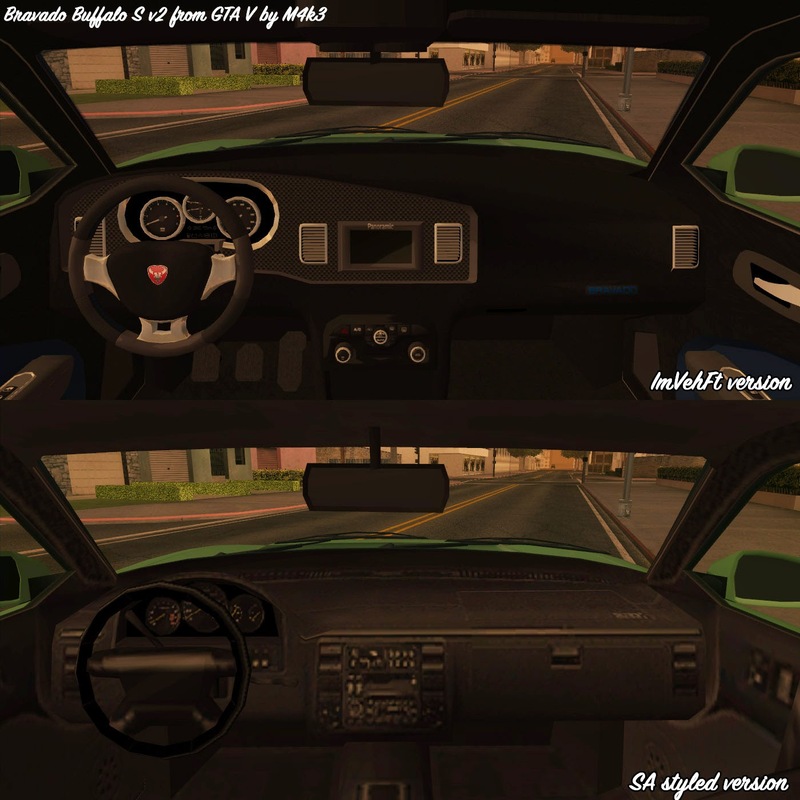 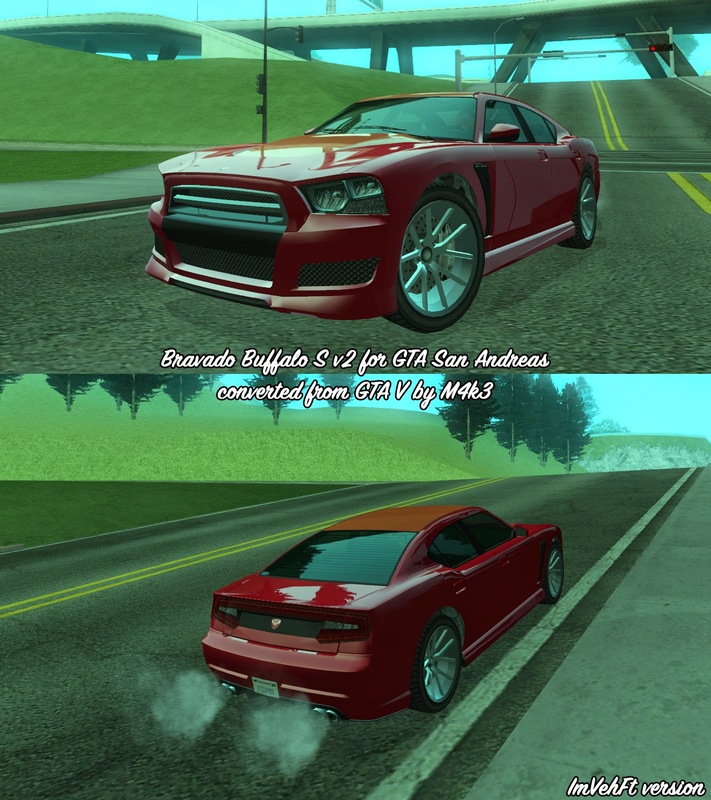 -GTA SA styled version: ImVehFt support (optional), low DFF and TXD sizes, SA styled lights, scratches, unlocked TXD. 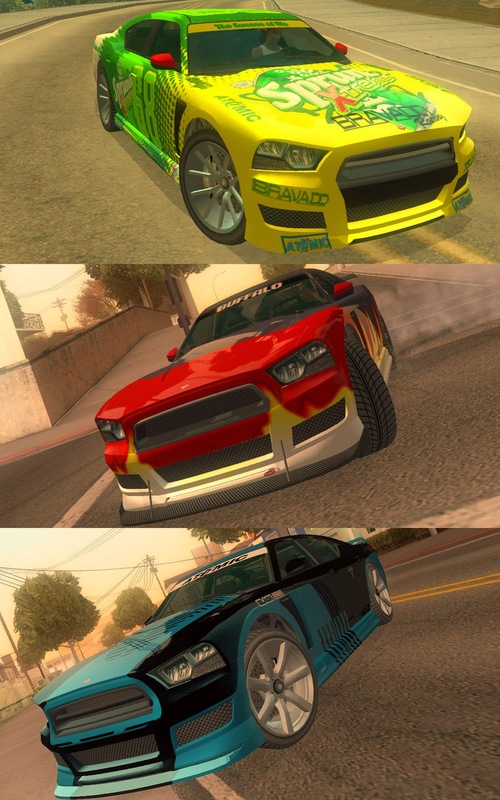 -Template for paintjobs and 3 paintjobs.